Every year, 21,000 people die from radon-related lung cancer, according to Everyday Health. If this statistic isn’t shocking enough, then consider this: few people know what radon even is. The fact is that radon poses a grave threat to our homes and our lives, but what really is radon and how does it get into our homes and our bodies? 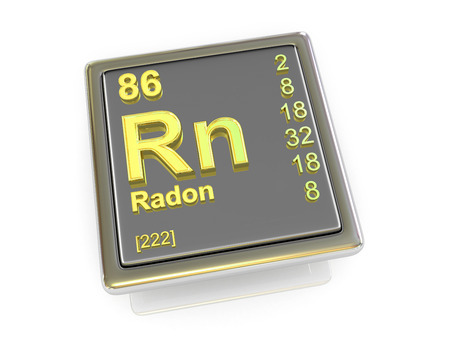 In a nutshell, radon comes from the ground. Radon is a naturally occurring gas that is the result of the radioactive decay of uranium in the earth, as the American Lung Association notes. In most cases, radon is found in soil and rock beneath homes, but can also enter houses through private well water sources. The dangers of radon are most often found in our homes. After seeping in through the foundation or becoming airborne from showers or faucet sprays with contaminated water, radon is ingested and inhaled into the body where it can cause harm. When this element is found in the building materials, groundwater or the soil around your home, the chances of ingestion increase dramatically. With radon present in the area, it is much more likely to enter your living spaces through cracks in the floor or foundation, leading to distribution throughout the home through fireplaces, furnaces, air ducts and other open areas inside your home. When radon makes its way into the home, most homeowners are none the wiser. The gas is odorless, colorless and tasteless, but the devastating effects are an absolute reality. Radon is the second-leading cause of lung cancer behind smoking, and it is worse for those who smoke cigarettes. Radon is a radioactive gas, which means that once it’s inhaled, the particles can land in your lungs where they can radiate the cells of your lung with potentially cancer-causing radiation. Luckily, you have a partner in your family’s safety – Radon Zapper. We offer many different services that can help you to rid your home of radon for good. Our radon testing and abatement programs have been proven to do the trick when it comes to detecting radon and creating a removal or remediation approach to protect you and your family. Radon is present throughout the ground soil in New York state, and you might not have any idea of the extent of the problem. Even worse, you can’t simply rely on whether your neighbors have had testing as radon levels can vary dramatically even within a few feet based entirely on the local geology. Check out these county maps that offer town by town indoor basement radon estimate to give you an idea of how many homes in your town might have higher than recommended radon levels. Whether you’re looking at a new home or want to make sure you and your family are safe at your existing property, Radon Zapper can perform testing to determine whether radon is present and provide you with options to make your home safer. Learn more and schedule an initial consultation today by calling 845-467-1117.